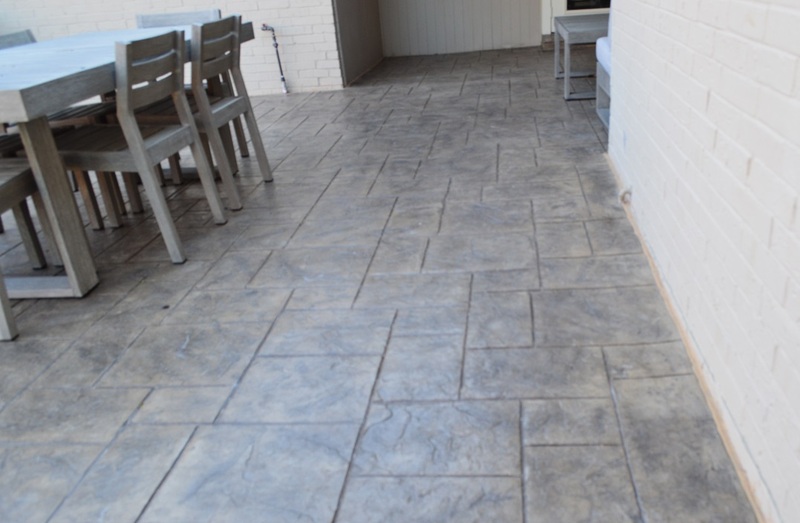 An Aging, Disjointed Patio Transformed into a Stylish, Usable Patio Expanse! Outdoor spaces of yesteryear are not always up to par for today’s outdoor living needs. Archadeck of Northeast Dallas-Southlake gave these North Dallas homeowners a new space with a cohesive design for ultimate usability and aesthetics. 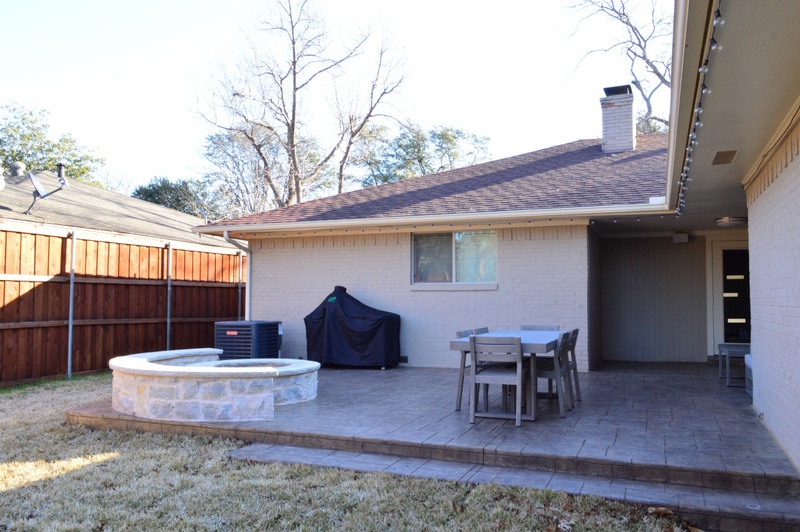 These N. Dallas homeowners expressed a desire to expand their use of their covered and uncovered patio spaces. With a covered concrete slab under the protection of a roof and a lower-level uncovered patio, they were not able to use the space as a whole. Archadeck of NE Dallas-Southlake designed and built a fantastic solution to bring the old spaces together, giving them a beautiful, seamless patio design. 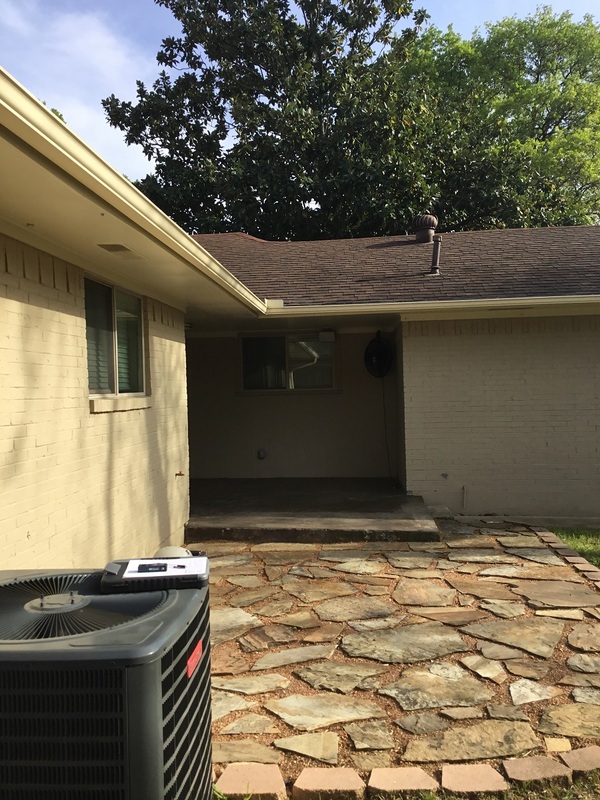 — What a difference a new North Dallas patio makes! Stain and Stamp Concrete Patio. To reconcile the disjointed feel of the two distinct spaces for this family, we poured a brand new stain and stamp patio and did an overlay on the existing covered patio. We stamped the entire concrete patio with an ashlar slate stamp and Roman slate texture and applied an autumn brown stain with a charcoal release. — Muted browns and grays create a perfect anchoring color palette for the outdoor living space! This beautiful stain and stamp patio expanse affords enough room for cooking and al fresco dining for this North Dallas family and their loved ones. — Extra-wide step offers a seamless transition from the higher side of the patio to the back yard. When it comes to outdoor living, backyard fire features have so much to offer. Not only do they offer a great area for conversing with friends and family or private relaxation, but they provide warmth on cool evenings and ambiance for any evening! This gas fire pit will eliminate the muss and fuss of its wood-burning counterparts. — A substantial seating wall surrounds this gorgeous fire pit filled with lava rock. 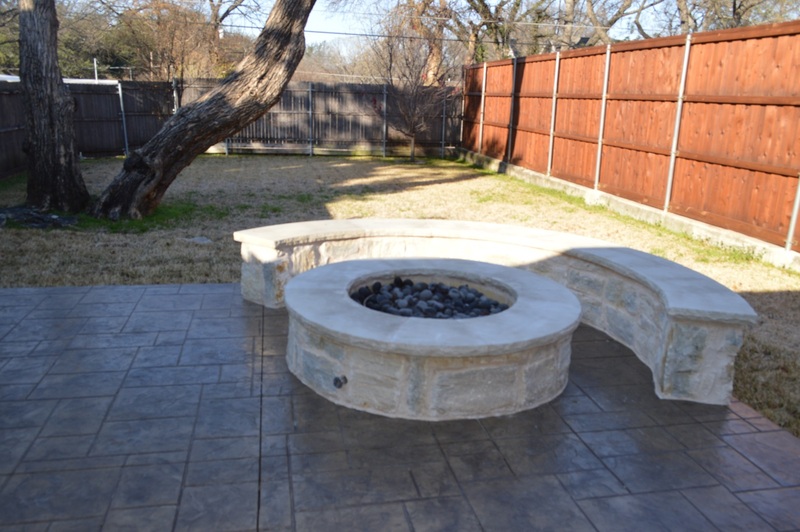 The fire pit and seat wall surround were constructed with Granbury gray chopped stone, and the tops are capped with gray Lueders stone. The earthen colors of the fire pit work in beautiful color harmony with the exterior of the home, as well as the new patio. 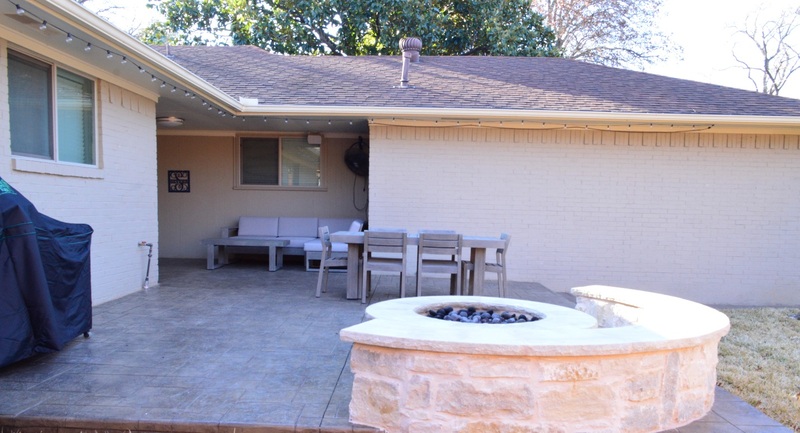 — Seamless patio design with a custom fire pit in North Dallas. Don’t keep trying to live with your unlivable outdoor space. Is your current outdoor living space feeling more like an outdoor unlivable space? Archadeck of Northeast Dallas-Southlake can offer a variety of solutions to bring your current space up to snuff! Whether it’s replacing an aging patio like this one, or building a brand new outdoor living space, we are up for the challenge. Tell us how you see yourself living in an improved outdoor living area, and we will design and build your perfect solution. Take a look at some of our before and after photos to see what a difference an Archadeck of NE Dallas-Southlake can make! — The patios before were two distinctly different spaces with not much usability on the whole. Do you have an aging patio in need of new life? 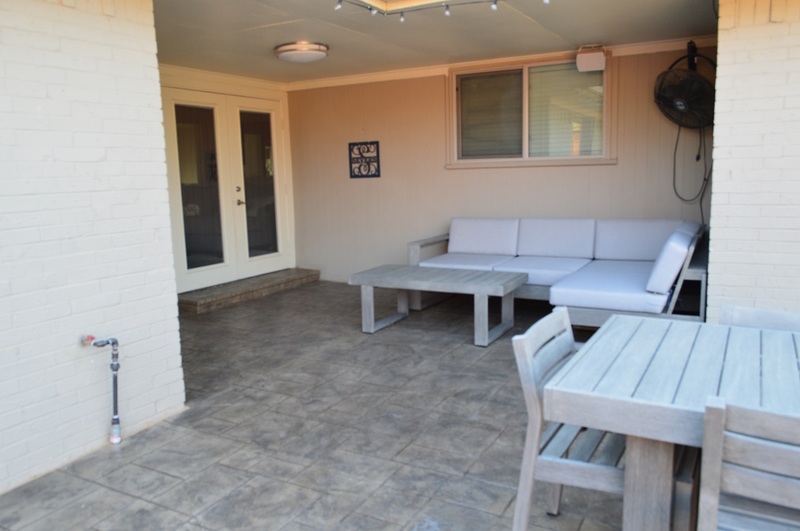 Call on Archadeck of Northeast Dallas-Southlake to breathe new life into your old outdoor living space!